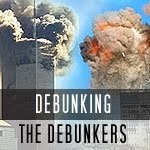 For a lot of us who were somehow open-minded enough to objectively consider and weigh the available evidence regarding what happened on September 11, 2001, the realization that the government’s and controlled media’s narrative was just a deceptive story covering up the truth was only the start of a series of unsettling realizations. Although I sensed immediately that the story had to be bogus because its details and certainties came out far too quickly to be real, long before any kind of investigation could possibly have taken place, I didn’t consider acting on my realization – not realizing that you even could – until a full six long years later. And at the time I, a shy person, found the gumption to try to organize a local meeting to talk about the event, or event syndrome, in late summer, 2007, after speaking with Janice Matthews, the then top 911 Truth organizer, the cutting-edge bold concept in the young movement was what would soon be called “LIHOP” – that they Let It Happen On Purpose, one of two designations popularized by investigator/author Webster Tarpley. Janice encouraged me to try to hold the local meeting I was contemplating, in thinking that my state ought to have a chapter of 911 Truth, and suggested showing at the organizational meeting “Press For Truth”, a documentary presenting the travails of the so-called “Jersey Girls” in struggling to get the government to mount an official investigation of 9/11, the largest crime, or crime spree as it were, in U.S. history – an investigation ultimately authorized, grossly underfunded, and managed from the get-go, turning it into part of the cover-up. And after all of that real hijacking and fraud, the most incisive theory the Jersey Girls could put forth in their much-vaunted film was LIHOP – that the government must have just let the named hijackers do the deed on purpose. To think even that much was considered unspeakably, unthinkably radical at the time – the province of loons and owls. Because, the myth that was spun and pushed and pushed and pushed and pushed upon the world involving nineteen evil and devout Muslim hijackers, so-called “box-cutters”, and a bearded devil in a cave – was, incomprehensibly it seems now, that strong. The government, for its own nefarious reasons, some on the far margins dared allege, had let them get away with it. And so the accusation from the farthest margin stood, six years in, almost at the end of G.W. Bush’s dismal presidency! Still, the people at large, the bejeebers scared out of them on purpose, seemingly hadn’t a clue, the most conservative 90%, it seemed, conflating those who had an aberrant theory with “the hijackers” and ready to clobber anyone contradicting the official myth. Not long afterward, nano-thermite was found (and properly verified) in abundance in all the examined dust samples from Ground Zero and the prevailing 911 Truth theory, in light of the fact that outsiders couldn’t have accessed or planted it, shifted to Tarpley’s other proffered designation, “MIHOP” = Made It Happen On Purpose. And then, slowly, a plethora of additional very suspicious “lesser” false-flag events started to occur, with ever-increasing frequency. And a new prevalent conceptualization, what I will call “Contextualism”, stating that not only was 9/11 a one-day coordinated cluster of governance-ordered false-flag events, but was just the largest among a proliferating many, fairly obviously all the products of an active in-house cottage industry to dream up, design, and regularly deliver psychological operations to produce pre-determined mind-sets and reactions from both the regular populace and the international apparatchik going forward. So, how do we get regular people (the subject class) at least, to tumble as to what’s going on with all of these frequent shock attacks and protest loudly and ceaselessly until they stop and all of our civil institutions have to be restored to us in order to forestall a civilizational unraveling or breakdown? To use one more analogy, we spread the word to our utmost ability, work to fuel the growing level of suspicions mounting slowly against world-wide governance and growing institutional repression to work like a gigantic rock slammed into the middle of a pond, sending waves rushing concentrically outward to crash against the shores of complacency. And we never cease our efforts, hurling down rock after rock after rock, after rock, until THEY stop and we win and world civilization is allowed to recover Peace on Earth. More evidence that the San Bernadino event was a false flag (Eye witness said that the perps were three, well-built, white commandos. "[it was] three men, dressed in all black, military attire with vests on holding assault rifles... I couldn’t see a face, he had a black hat on and uh, from my view all I could see was a black hat and long sleeve shirt… black cargo pants with zippers on the sides, big puffy pockets, he had a huge assault rifle and extra ammo… I just saw three dressed exactly the same…. their skin tone looked white. They looked like they were athletic build. They appeared to be tall." Yet four hours later, the police shot: two brown-skinned Pakistanis, one according to the family lawyer David Chesley, was a small 90 pound woman with a young baby at home (http://www.cnn.com/videos/us/2015/12/04/shooters-family-attorney-intv-cuomo-newday.cnn/video/playlists/san-bernardino-shooting/). They were California residents in a rented black SUV with Utah plates. The officers did not see them until they were dead. They had gone to the couple's home due to a tip (they went to other houses as well), where they saw a black SUV drive by them, slowly at first, like bait, before speeding away. They chased after the SUV. They also grabbed a third suspect running away on foot, but later released him. Left behind at the crime scene, a remote-controlled car that didn't explode. Farook attended the same holiday party last year. Since then, his coworkers threw a baby shower for him that included a registry. His brother, who lived nearby, was in the Navy and earned two medals for his service in "The Global War on Terrorism." His brother said the couple wasn't radical. At the party this time, Farook was sitting at a table chatting with a friend and co-worker before "disappearing" -- with his coat still on his chair. They now say there was no argument. When shot in the mysterious SUV, his tiny wife was wearing fitted shorts above her knees and no head covering. Family says she was always fully covered when she went out. I do not post pictures of dead bodies but it is available online. The pictures show they were handcuffed in the car , why would u need to handcuff dead people, or we're they already handcuffed and places in the car?, by the actual killers. They are portrayed as Bonnie and Clyde with a young baby. They had a fully stocked fridge with cooked food in Tupperware and pictures of their baby all over the house. Arranged flowers on tables and freshly watered house plants. Baby was left with her grandmother for Tashfeen to make a doctor appointment. 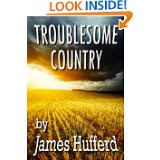 They had both been sick, assuming it was a stomach flu, but she needed a doctor. That's why, at this point, it doesn't make sense. A young mom left her baby to go kill the same people who hosted her baby shower. She allegedly made a FB post pledging allegiance to ISIS on an alias page, at 11 am. The shooting started at 11 am. The post was removed. CNN states, "Malik made the post on an account with a different name, one U.S. official said. The officials did not explain how they knew Malik was behind the message." Who were the victims? Just like the Paris attacks, they were very diverse. The NY Times writes, "He [shared] a cubicle with a friend, Isaac Amianos, a 60-year-old father of three from Eritrea... the two of them spoke Arabic together (Farook learning from Amianos)... The health inspectors came from all over the world... Nwadike was from Nigeria. Others hailed from Vietnam, Iran, Mexico and Colombia... Bullets struck Amianos, Thalasinos and others at Farook's table." (People he was just speaking with.) "A Muslim woman he prayed with.... Anies Kondoker, 42, was shot three times but survived." Amianos' family member, who also knew Farook, claimed the two had been friends and often left the office together. Why would a traditional Pakistani Muslim American target these people, his friends, teachers, elders, a fellow Muslim? In California of all places, with all of its other potential targets? "[Thalasinos' wife] said she believes her husband died a martyr because of his faith but he never indicated that Syed had radicalized. She said she did not believe her husband was individually targeted. 'They all got along really well. So it's shocking,' she said." The shooters left before police arrived. Police and media then said they were searching for 3 white males. Then police shot these two, who fit no stated description, around 3 pm, after receiving a tip. The story changed from 3 male shooters to a married couple. According to multiple reports during the car chase, officers fired 380 rounds, and the suspects shot 76 rifle rounds. By the end 1-2 officers had minor injuries. Yet multiple news sources including CNN reported, "Farook fired at officers while Malik drove, officials said." http://fox6now.com/2015/12/03/san-bernardino-shooting-who-are-syed-rezwan-farook-and-tashfeen-malik/ Perhaps part of the problem seeing them was the SUV's windows were completely blacked out, and 21 officers were shooting 380 rounds in a cloud of bullets from all directions. The ammo, pipe bombs, etc., were found in their townhouse's garage. The garage was in a building separate from their home. A few minor items in the house. And a manhole in their closet ceiling. Journalists entered their house, within 48 hrs, to rummage through their belongings. An unprecedented event. Any more evidence for or against this deceased couple, now unusable. *I have had to update this so many times because of journalists changing their information. Misidentifications. Incorrect facts. Assumptions. Overly generalized statements. Whether this whole scenario is genuine or skewed, I believe it's clear that the integrity of our informational media has plummeted. Far too often, facts are not checked in their rush to be the first to publish new information. My commentary, you have no doubt noticed, has been a bit shrill of late. Some would say it has exhibited paranoia, perhaps even unhinged-ness. Which I could deny, but who would sympathize? I can, though, counter by pointing out that, even if I were or am paranoid, that doesn’t mean the immense and completely uncontrolled danger I strive to warn of isn’t real. I have tried to document it by posting evidence from a number of credible sources that it is so – that we’re in fact being carpet-bombed with purposeful dire and wrongheaded pure disinformation and propaganda daily to a new and beyond frightful extent. I have accordingly posted my own considered analyses of late, based on the kind of evidence recited, directly here on my own web site and under my own name. And, for whatever reason, your discernable reaction has been tepid, to say the least. I have appealed to you to “spread the word”. I have tried not to exaggerate what the evidence from stellar shared sources indicates about what is really behind the quickening and ever-sharpening disturbances the omnipresent media misreports and routinely misrepresents for effect. And, while many of my prior articles have been downloaded and sent onward each hundreds of times, these recent ones, pointing out and in some cases detailing the establishment campaign of disinformation and how we’re being worked for the objectives of an élite few, have hardly been shared at all. In consequence, my questions abound: Could there be some level of disbelief even my readers can’t countenance? Are other sites, in their (your) estimation, doing a better job of laying it all out? Isn’t it clear to you that 9/11, the theme of this web site, was first and foremost the hinge event propelling the world into the bizarre and perhaps fatal era of top-down storyline invention and control – a sort of H.G. Wells “War of the Worlds” times ten, 24/7/365? You want me not to go there anymore? Or am I just being oversensitive? I have no idea. But the numbers on my web site dashboard don’t lie. If you could explain to me the tepidness of you readers’ recent response, in comments or direct messages, I would be grateful. In the meantime, I can only assure you that I meant every word. I think an important aspect to keep in mind about the act of terrorism that was 9/11 is that it was the first modern instance of what I would call terrorism to “turn the page”. Of course, the planet is fairly vast, and not all so-characterized terrorist attacks are interrelated or related in any direct way to 9/11. But even so, a rash of earlier attacks such as the Khobar Towers and embassy bombings, the U.S.S. Cole attack, probably Centennial Park bombing, and certainly the 1993 WTC bombing, among slews of others, were preparatory, creating an at least subliminal public “awareness” setting the stage for 9/11/2001. 9/11 itself was used to successfully turn the page for the world away from primarily civilian aspirations to concentrate on military mobilization and the girding of loins necessary to strike at designated adversaries. The template re-implanted then was a very old one, dating at least from the dread of the Saxons and the colonial Indians, good guys vs. fiendish and subhuman bad guys. More recently, Huns and East Asians, aggressive Nazis and Commies, now “radical Islamists”. At first, the Islamic terrorists’ alleged goal was to get the U.S. military out of Saudi Arabia, the sacred space. After 9/11, it was suddenly expanded to be to determinedly smash the whole western world and annihilate us all. So, there were (are) these violent terrorists. No doubt. But WHOSE terrorists are they? Who, exactly, is organizing and funding and training them? Who are they ultimately working for, and toward what end? That is the taboo question—the one entirely missing from the completely controlled western mainline media. Because, it’s just to be assumed that they are a self-organized, self-funded, self-motivated and self-started force: the “bad guys”, pure and simple! The evidence is, though, that it’s a false message and that their attacks – as brutal as they do seem – are more manifestations of false-flag terrorism used to cow and ensnare the world and make war and the worldwide war footing perpetually all-absorbing, paralyzing, dazzlingly profit-making, and consolidating of control over the controllers’ real designated adversary, the world’s people. Every other mode or entity of organization and potential claimant of loyalty besides the hidden imperial power-that-be – the New World Order/way of the world – is to be ultimately anathema or minimalized (remember the imperative of the Roman Empire?) It’s “full-spectrum dominance” X 7 continents with 7+ billion sad-sack dependents. 9/11 was to switch world attention back to “good guys vs. bad guys” and, most regrettably necessary militarism as a focus. With the very latest terrorist attacks (and especially with the propaganda media’s intense, wall-to-wall response), a second shoe has dropped. The focus now is on forcefully introducing the template for a World War such as has been cogently predicted for some time now by Michel Chossudovsky of Global Research among others. The idea is to place the current designated “bad guys” (ISIS/ISIL/Islamic State) firmly into the bad-guy enemy slot – of course, safely controlled, financed, and trained essentially with U.S./NATO resources, as several of the observant research articles I have recently posted on this web site have explained and documented. (That the same was identically true with al-Qaeda and before that, Abu-Nidal, and earlier, the syndrome of Gladio remains, for the time being, a bit more widely recognized). But again, the true recognized enemy (read, victim in this case) of the psychopathic criminals who have wrested and forged full control in the west is the people – all the rest of us. So, the best way we can oppose and defeat the subtle but total tyranny coming down on us is by not accepting the propaganda/ disinformation about the world war against terrorism and its constituting events going forward from 9/11 into away beyond the foreseeable future, like the current Paris attacks, to get European allies firmly and angrily on the train this time, preferably in the first cars, where Americans, who have largely had it, really don’t want to be anymore. As I also indicated in my own previous articles, the Republican primary voters in the U.S. (and a portion of the Democratic voters) are showing us the way at present by repudiating media determination of their favorites – whether they’re choosing a good vessel for their non-acceptance of control by the establishment or not. The controlled media is trying hard right now 24/7, to install the World War template of permanent (fake) global civil war between the good and bad guys. The “bad guys” ARE bad and to be feared reasonably; but it is really the controllers of these agents and assets who are to be feared far more. Because, later on, other already –fingered enemies can be plugged into the active war template – Assad (of course), the Russians, Iran, China, whomever. And the media can announce the follow-on already-nominated or not-yet-nominated inclusions in a timely manner. But the media is supposed to be, since the time of the American Revolutionary Era, the essential informant of the people, who must, it is said, be well-informed to make good decisions in a popular sovereignty setting. But now, the people must reject the controlled media’s lies to such an extreme extent that the continually lying media is already very seriously languishing in influence and going broke as an enterprise and simply must adjust to supplying the truth in order to merit and re-elicit a degree of public support necessary both to remain in useful operation as such and coincidentally engender awareness again and rebirth the citizenship responsibilities necessary to recapture governments. It’s not impossible for that to happen. We just have to pound and pound and pound our counter-message that the media’s message is not just unreliable, it’s totally and calculatedly bogus. In the meantime, our habitual blaming the victim (run-of-the-mill people) will not accomplish this, or any other worthwhile objective, any more than blaming the quasi-Islamic patsies, pathetic as they are will. And, odd you didn’t hear a word about President Kennedy in the midst of all the roar this year, did you? Again, and always – Tell the world!!!!! Paris Shooting: 10 Ways It Looks Like A Hallmark False Flag Op TOPICS:False FlagsMakia FreemanParis Terror Attacks NOVEMBER 16, 2015 isis-oilBy Makia Freeman The Paris shooting of November 2015 which just occurred on Friday 13th November bears many of the telltale signs of a false flag operation. Now more than 48 hours later, we have some clues that the New World Order manipulators are up to their old tricks again – which are getting very predictable by now. Here are 10 signs that the Paris shooting is yet another false flag attack designed to scare the common citizen (in France and everywhere), demonize Islam, provide “reason” for Governments at G20 and around the world to waste more money and take more liberty fighting terrorism, provide justification for the French Government to increase surveillance, and provide France and NATO with an excuse to escalate violence against Syria. Paris Shooting False Flag Sign #1: Drills on Same Day How many false flags in recent history have all had the same feature: drills at the same time at the same (or a nearby) place? 21st Century Wire reports that Dr. Patrick Pelloux was “a ‘survivor’ of the Charlie Hebdo shootings” who just happened to be on the scene at these shootings. That in and of itself is a coincidence, but Pelloux actually stated that a “multi-site attack exercise” (i.e. a drill) was taking place during the shootings! Paris Shooting False Flag Sign #2: Terrorist Passport Magically Found Stuart Hooper of 21st Century Wire also reports that many mainstream media outlets (AFP, RT, Reuters, ITV, Sky News, AP, Fox News and Sputnik) have been claiming that a Syrian passport was magically found at one of the scenes of the Paris attacks, either on or near the shooter’s body. Remember the terrorist passport on 9/11 that somehow managed to survive heat and fire that could supposedly burn steel, and landed unscathed on the streets below? Remember too the “lost ID” of one of the terrorists in the Charlie Hebdo getaway car? The false flag script is showing signs of predictability … Paris Shooting False Flag Sign #3: Terrorists Already Known to French Authorities It turns out that some of the terrorists were already known to French security agencies, as the Daily Mail reports: French police are hunting 26-year-old Salah Abdeslam, from Brussels, who is accused of renting a Volkswagen Polo used by the suicide bombers who killed 89 people at the Bataclan music venue on Friday. It emerged on Sunday night that French detectives questioned Abdeslam as he crossed the Belgian border and let him go after he showed them his ID card. Detectives soon realised heir blunder when they discovered that Abdeslam had rented a hire car abandoned near the scene of the massacre inside the Bataclan theatre. One the hallmarks of a false flag operation is the way it is “allowed” to happen. People in high places have the power to direct, control and call off people in lower positions in accordance with the overall plan. Were certain known terrorists allowed to gain entry to France? Paris Shooting False Flag Sign #4: Terrorist Declares he is from ISIS As Brandon Turbeville reported, one of the Paris shooters just blurted out “I am from ISIS”, giving us a short and concise soundbite which tells us everything we need to know about the killers. Is it just a coincidence that the Israeli Mossad intelligence front SITE (which have been busted before releasing “ISIS” material that was actually generated by Israel) were the ones to let us all know that ISIS is claiming responsibility for the job? And, if it is really is ISIS, we know what this means: the controllers are now using ISIS in Western nations to further their goals. Bernie Suarez puts it best: Realize that as soon as they suggested that the attackers claimed they were killing “for ISIS”, given what we all know about ISIS, this constitutes 100% proof that the CIA and the West was involved because they are the ones who created, trained, funded and run ISIS. Realize that exposing and destroying ISIS is exactly synonymous with destroying and exposing the new world order, which is why ISIS will never die. Yes, ISIS is now the lifeline of the new world order! >CIA’s ISIS is now the driving force of the new world order and no one should be surprised that as soon as U.S. special forces “advisers” were sent to Syria and the CIA’s counter strategy against Russia began recently, now we have this attack. Doubling down and adding to my last month’s theme that the world, at a global scale, is predominantly influenced not by U.S. foreign policy per se, but by what I’ve dubbed “Central Establishment Global Strategy” (or CEGS, if you wish), let me try to describe what that amounts to, citing an example and two different cases. The private sphere, mostly controlled by central bankers/top investing mavens who, with their purportedly low hundreds of trillions of dollars, wielding with acumen the supreme weapon or cudgel of debt, inducing fear, self-preservation and subservience, have subsumed and are dually acting for the most part in the guise of corrupted nation-states (ostensibly, the public sphere). They thus direct or run the world and maintain in tandem its lingering past-applicable illusions in such a way as to sidetrack and smother versions of reality – some far more relevant – trying to challenge or compete with the systematically preposterous version broadcast. Our so-called national leaders are selected highly-talented front-men (occasionally, women), with little or no discretionary power vested and varying grasp or understanding, who might not realize that they are dupes and tools, but just assume that that’s how the world works. Which it is. And the real movers are thereby almost never suspected, and never responsible or accountable. If actor’s vanity and a mock-up of levers of power make puppets psychopaths, then they are. President Kennedy volunteered – as it were – to demonstrate that substituting your own brain for theirs in one of those “high leadership” positions gets you killed. But the real psychos are the real controllers, whose motivations and calculations lack the element of compunction. They’re “almost human”, in Laura Knight-Jadzcyk’s phrase. They don’t care if their plan kills 300 or 3 thousand or 300 million over time. In fact, it might be better in their cost/benefit sense if it did – whether by bombing or starving, slow poisoning, or whatever. 9/11 was a perfect false-flag project for them, because it not only achieved its up-front objectives, but also effectively marked a recalcitrant one-third of the population of the controllers’ planet (Muslims, mostly too poor to be efficiently susceptible to manipulation by debt) for mass targeting. And the morally doubtful state monopoly on legitimate violence, especially as exercised through coalitions of coerced “collaborating nations” and patsy terrorists, serves the purposes of selective targeting, pillaging, decimating, and streamlining the surviving remnant (pacification) on its lands. It’s all too neat – really cool. It is the reverse of justice – in Platonic terms, considered an empty or malleable form – almost as when someone famous said the Constitution is “a goddamn piece of paper”. Convenient, because they can write on it whatever they want. That’s control! A brief review by Ken Freeland of Hidden History: An Exposé of Modern Crimes, Conspiracies, and Cover-Ups in American Politics by Donald Jeffries [published 2014 by Skyhorse Publishing] Jeffries' little tome is a fairly quick read. It contributes little that is new for conspiracy buffs, but fully delivers nonetheless because of the novel organization of this revisionist historical account, which provides a heuristically valuable framework for these nearly contemporary events. The book begins, naturally, with the “mother of all conspiracies,” the JFK assassination. It then recounts the usual suspects of the sixties and seventies (RFK, MLK assassinations) and examines a few off the beaten track (when was the last time you saw the George Wallace assassination attempt reviewed?). But the real key to this book begins with the Reagan years, and for every succeeding presidential administration for which the author supplies a full examination of all politically motivated deaths, and a summary “body count” per president. This matter-of-fact recounting of what could be construed in many cases as targeted killings provides a new twist to the notion of “continuity of government” that steels the reader's historical understanding of what's really going on behind the curtain of the Oval Office. Jeffries promises that readers will not be able to detect a political agenda in his presentation, and to some extent this is true, insofar as he treats the Republican and Democratic administrations under review with equal disdain. But this does not mean that his political mien is undetectable. Jeffries is a diehard votary of the Kennedy clan. To some extent, this is his strength: It allows for a clear focus on the JFK assassination, and the most thoroughgoing, indeed, painstaking examination of the forensic evidence from the RFK assassination the reader is likely to encounter. A word must be said about this latter chapter: If, like me, you begin the book with only a scant knowledge of this particular conspiracy theory, you will leave the book well educated; this chapter alone is probably well worth the price of the book if your knowledge of assassination history suffers from a similar lacuna. If, on the other hand, you are already very familiar with this case, the you will undoubtedly find this chapter needlessly repetitive and overly focused on details, and take a much dimmer view of it. Jeffries' Kennedyesque bias is a weakness where, in that same chapter, Jeffries lamely presents Bobby Kennedy as the true antiwar hero, and Eugene McCarthy as the embittered also-ran. Anyone who lived through this era knows what a crock that is. This is the only place the author fails so completely to maintain a neutral stance, but it is a glaring His chapter on 9/11 presents the events of the day matter-of-factly as an obvious false-flag operation, and truthers can give it their nihil obstat. All in all, the book is a very worthwhile read, particularly if you missed any of the major conspiracies that have loaded up the American political plate in the past half-century, and you have any brushing up to do. It helps prepare us for what lies ahead in the future... surely more of the same absent a political sea change. We could argue that Obama's drone assassination program represents the culmination of presidential targeted killing, but then, as the mainstream media keep reminding us, there's always the possibility of a Hillary Clinton administration. It’s high time to forego talk about U.S. foreign policy and start speaking instead of central establishment global strategy. Because, with the preponderance of power and influence in the world exercised by the central financial establishment and its minions and operatives, who control and wield by far most of the world’s wealth, liquid and otherwise, it makes little and less sense every day of late to refer initially to decisions emanating, if any really and truly do, from even the most prominent of the world’s collection of nation states. The U.S., Israel, and the U.K. are, among hosts of others, among the minions and operatives, and no longer responsive at all day-to-day to the opinions and aspirations of their de facto subjects (all supposed citizens) unless exercised near-unanimously in strident opposition – which hasn’t happened since the forced dislodgment of Vietnam forty years ago. A bit longer ago than that, Winston Churchill remarked famously that “Russia is a riddle wrapped in a mystery inside an enigma”. So effective is the propaganda cover devised and employed today that the same could be said now for at least 98% of Americans regarding what are ostensibly U.S. actions and policies in the Middle East as well as worldwide, as well as strategically within das homeland – no great distinction being drawn anymore between international and domestic. 9/11 happened here, but it was orchestrated to turn the page globally, including here. If more money goes into imperial matters, chaos, and genocide overseas (or here), domestic concerns, being of minimal interest to global investors and bankers, are left hanging. And how is such an, after all, drastic turn of events made amenable, or at least sufficiently tolerable, to Americans? Or Britons, for that matter? Through fear (the operative emotion from the days of the Pequot, the Armada, and the Yellow Menace), and through elaborate daily maintenance via lies, spin, and non-reportage of the myth of the upstanding America as the good guy incapable of any wrongdoing, as well as through a surfeit of rancid crumbs, in lieu of bread, and of the NFL and Kardashian circuses. Meanwhile, those primarily overseas who won’t conform to the central bankers’ dictates and rules of conduct (read Putin’s Russia, Iran until at least the other day, Syria, Venezuela,, the Palestinians, formerly Libya and Cuba, Haiti, Nicaragua, El Salvador, Panama, Ukraine, pre-Fukushima Japan, Iraq, etc., etc., etc.) are demonized and dealt with clandestinely, deceitfully, or with secretly-funded and likewise shamelessly demonized Gladio, al-Qaeda, or ISIS (ISIL) terrorists, facilitated, protected, and in point of fact given full leeway. So, even with 9/11, don’t say “Jews did it,” when plenty of Jews, especially in the west, are aggressively anti-Zionist. And please google “non-Jewish Zionists” and see what you find – that vile and duplicitous ideological cabal is rife with such. Neither, say U.S. government insiders or the CIA were responsible ultimately. Because, while the above were not answerable to you or me in presumably so doing, they were answerable and responsible without a doubt to the central banking and world investment hierarchy, which benefited mightily. Now, what the rest of us must do to thrust the nations and individuals back into responsible control over even the above single-minded entity – the so-called New World Order – before full-blown, irrevocable calamity beyond anyone’s imagination sets in, must be the matter squarely on top of all of our agenda. Think, my friends! Think! And persevere! All depends on it! The US is “Making a Fool of Itself” in Syria. Bring Back Jimmy Carter! In-depth Report: SYRIA: NATO'S NEXT WAR? Professor Michel Chossudovsky reports that “our guys” includes Western military advisers, intelligence agents and mercenaries recruited from private security companies. The defense official told Fox “News” that the Russians are “completely disingenuous about their desire to fight ISIS.” According to the Obama regime, all of the hundreds of Russian air and missile attacks against ISIS are directed at US trained terrorists — all five of them — and their hundreds of Western advisers. Evidently, the senior defense official forgot that General Lloyd Austin, who heads US Central Command, recently told the Senate Armed Services Committee that only 4 or 5 of the US-trained “moderate terrorists” remain on the battle field. Obama has cancelled the failed $500 million waste of US taxpayers money to train “moderate terrorists” to overthrow the Syrian government. The trainees took the money and ran. The truth of the matter—which will never emerge from Fox “News”— is that Washington is using ISIS in an illegal attempt to overthrow an elected government that will not submit to being a Washington puppet. In clear words, Washington in total violation of law is behaving as a war criminal and is attempting to overthrow an elected government in order to replace it with a vassal answering to Washington. President Putin has said that Russia will not stand for any more war crimes from Washington in areas of the world that affect Russian national interests. Russia has been asked for assistance by the legitimate government of Syria against ISIS, and the Russian air strikes are exterminating ISIS. This has the Washington war criminals upset. The senior US defense official told Fox “News” that the only role for Russia in Syria is to assist the US in overthrowing Assad. I guess the dumbshit Washington official didn’t hear what Putin had to say. The question that desperately needs to be asked will never be asked by the US print and TV media or by NPR. That question is: What is the point of the incessant US government lies about Russia, its actions, and its intentions? Are the warmongers in Washington trying to start World War Three? Obviously the presidential candidates—both Hillary and all of the Republican dimwits—are determined to start World War Three. Watch the Americans vote for World War Three in the next election. The United States government no longer has any credibility outside its borders and very little within, as evidenced by recent polls that show that 62 percent of American voters are wishing for a third party in the hopes that it might represent the people instead of a half dozen vested interests that, thanks to the Republican Supreme Court, have purchased the US government, lock, stock and barrel. The reason so many voters admire Bernie Sanders and Donald Trump, even though both have no idea what really needs to be done, is that these two are the only candidates who are raising a fuss about a politial system that serves only a few. Talk about dictators and disenfranchisement, the American voters are the most disenfranchised in human history. Allegedly the US is a democracy, but there is no sign of democracy in the behavior of the government. Sound and careful studies show that the US voter has no input whatsoever into the behavior and decisions of the US government. The US government is as far removed from the people, if not more so, than any dictatorship. We desperately need to be liberated ourselves! As former President Jimmy Carter recently said, America is no longer a democracy. America is an oligarchy. Like so many things Carter was right about, but never given credit for by the corrupt American Establishment, Carter is again correct. I say bring back Jimmy Carter. The man is moral and intelligent. He is a million times better than any presidential candidate in the running. At 90 years of age in a losing war with cancer, Jimmy Carter is our best bet. Obama makes clear that America's war against Russia is more important than America’s war against ISIS. “We’ve made Americans the proposal announced by President Vladimir Putin yesterday. We suggested that they send a [US] military delegation to Moscow to coordinate a number of joint steps, and after that we could have sent to Washington a top-level delegation led by Prime Minister Dmitry Medvedev, [but] … It is sad that our American colleagues in this case in fact do not side with those who fight against terrorism. So, at some time between October 7th and October 20th, the U.S. convinced Iraq’s leaders to, in essence, dis-invite the Russians, instead of to ally with them against ISIS in Iraq. In either case (or both), the U.S. has made clear, to the Iraqis, that America will do anything to defeat Russia — even abandon the fight against ISIS in Iraq, if need be — and that the U.S. will absolutely not ally with Russia against ISIS, under any circumstances. This makes abundantly clear, to the whole world, that the current American government considers its main enemy to be not jihadists, but Russians. Trump’s latest and still continuing attack on neocon Jeb Bush over his brother the president’s ownership of a by implication avoidable 9/11 in his term is more than noteworthy. Because, that most crucial and seminal state mega-crime of the current era (and the basis of our bothersome, unending quest for acknowledgement and sanctions) is thus placed squarely back on the conversant public’s mind. And if my reading of Donald Trump is anywhere close to accurate, his stream-of-consciousness style of public rhetoric means that anything he knows and is in the forefront of his welter of thoughts at the moment is at most half a syllable away from spilling out irretrievably, subjected to a flood of interrogation. And if he knows what really happened on 9/11/01, the rest of the world is no more than a breathing cycle anytime prompted from hearing it, damn the consequences. The general public and every public figure have been in well-accustomed and by now comfortable denial of the likely reality and certain meaning of that fateful day for the past fourteen years now. But one slip-up, Trump’s malice trumping caution, and the unraveling of all that due diligence may fall aside, blown asunder. May, I said – not will. But let us be at the ready if it does with all we know. So, what difference has 9/11 made that could still be sent reeling into recovery and being made right? Certainly, the immediate victims can’t be brought back, not even the terminally health-afflicted. The official (and traditional) narrative of American Exceptionalism – that the officials, agents, and businesses representing us are by rights always the world’s “good guys” and do right by nature and, pitted against others, are never wrong – is what makes and shields the absurdities of the official account of 9/11 from all rational public examination. The complicit truth-denying press bears responsibility for holding the many-faceted truth consistently at bay and ridiculing, castigating, or ignoring dissenters, keeping us aside in an airtight, soundproof marginalized vault. Yet, when (if) the causes of 9/11 death and destruction at last come out into open discussion, the media might find the gumption to report and fact-check the discussion – perhaps at our consistent urging and badgering. And our long-studied factual knowledge of the event(s) could set us apart as a national/international asset. One direct casualty of 9/11, compulsory (constitutionally-guaranteed) due process), can benefit from a thorough or even brief airing and from people reaching to wonder aloud, why did due process in terms of a thorough forensic and circumstantial subpoenaed investigation, never eventuate in this singularly-important case – where justice was not even winked at? Is it any wonder, as a result of this and some other outrageous acts, that the U.S. public’s trust in the institutions of government has plunged to somewhere below twenty percent? Surely, people who aren’t crediting 9/11 for it, do realize that much has changed. For starters, none of us is safe. Yet the contention often made among us that a general awareness that 9/11 wasn’t perpetrated by Middle Eastern Muslims would somehow automatically shut down America’s unending foreign wars, including the stupendously larger and more lucrative than announced “War on Terror”, does not strike me as entirely credible. That would require an admission as well that the main U.S.-designated enemies, in particular al-Qaeda and ISIS (ISIL) were recruited and funded by the U.S. and its allies. Hence, that is another message we all need to circulate and credibly substantiate as an extension of 9/11 truth itself. In addition, the connection needs to be made for everyone between 9/11 and the brutal and systematic militarization and concomitant massive theft from our common treasury and rightful governance (infrastructure, education, etc.) wrought by the false response to 9/11. The road we are on is indeed the road of empire and intolerance of others’ non-compliant efforts and successes, leaving everyone, including us, regarded an alien enemy by the perpetrators at the top of our shameless establishment, with scorched and barren earth and ashes in our mouth. Yes, we want our country back. So, we must counter relentlessly with our ultimate weapon, the truth. And if Trump (or anyone) should broach the subject of 9/11’s great cause for us, jump on it. Resolved: We are ruled and channeled cradle to grave like the herd we are by jackals – moral termites. And yet, although amply warned, I continue to ogle shamelessly the blood sport of top-level American politics like some who know better rivet themselves nevertheless to the spectacle of pro wrestling, and I – as possibly they – do occasionally at least glean an insight or two therefrom. For example: In the case of the two acrimonious Republican debates to date, while the public (potential voters) voluntarily tested in the online polls quite overwhelmingly declared that one candidate had won the raucous verbal sparring hands down, the media in print and on TV lustily touted the clear victory of others, not the establishment-loathed candidate (or better, combatant) favored by the many thousands of participants in all the polls. But, though I “know” that the system is rigged and don’t expect that they would let Bernie Sanders actually become the nominee, I don’t believe that he’s in on the rigging himself, because there’s no reason he would need to be. And still, while there may be only one chance in a thousand that such a stolid critic of the establishment’s very foundations will ever be declared the winner, I continue to hold out just a sliver of hope that he might still slip through in the end. Although my more cynical (lizard) brain tells me that even that could be part of their plan to produce stalemate, devastating disillusion, and the further dismantling of the notion of constructive collectivism (democratic self-rule) despised by the élite, achieved by trashing and blocking any measures he, the popular leader insisted upon, would dare attempt in his zeal to enact. They have done that, you know. Regardless, it seems, the fate of the herd that is us is already sealed. And if you don’t think it so, just pick up and read Jim Marrs’s new book Population Control, in which he lays out all the various ways we are hogtied and in the midst of a drastic culling or thinning by means you probably never dreamed of. (Perhaps ironically, the surest means of depopulation, the steady progressive lowering of the male sperm count in the west over many decades, appears to be at most probably no more than a by-product of some of the other debilitating means induced deliberately.) The dramatic impositions author Marrs artfully discloses, one per chapter, have been, for the most part, introduced in fact subtly to residents of the U.S. up to now and far less subtly abroad. Re-reading John McMurtry’s classic 2012 article, “The Moral Decoding of 9/11”, reminds me just how bad – there’s no better word for it – the New World Order, with all of its manifold intertwined time-release anti-people schemata really is. Its drivers, like twin geriatric wonders Henry Kissinger and David Rockefeller, and a host of others far more anonymous, will stop at absolutely nothing to move their agenda of the self-elect (or select) forward. McMurtry reminds us of how Kissinger congratulated Pinochet’s brutal Chile regime and the ruling Argentine generals who had disappeared some 100,000 of their opposition, dropping some at least out of airplanes, for doing such a good job. The NWO global network, embracing puppet Israel as well as the anesthetized puppet U.S.A. deep state, had to command a false flag – in one sense, just another of the 3,000 identified CIA/security state covert ops of history (in addition to the Mossad ones), because their combined criminal enterprise was fresh out of enemies with the fall of world communist. Damn the torpedoes, damn the sorry victims – including us all as well as the dead. At least a million each year are slaughtered directly in the unabated hecatomb I cited before. The sea is rising, air concealing toxic agents of death and distress, the accounts of people and nations below flat, homes subsumed. Damn the planet! It reminds me of how productive the pirates plaguing the Internet could be if they pursued anything honest with the same determination and zeal. Africa could be made a paradise with just some of the trillions for instance the Rothschilds could part with; but their plan bodes opposite. Qadaffi wanted to do that, but was cut off short. So, what can we do? First, note that the NWO is like a steamroller, or a gigantic mattress pressed down on top of us. And it will only move in one direction. There’s no reversing it. None of us relative ants can do anything at all to rid ourselves of it. But, in concert, we could fairly easily and unstoppably carry it off and bury it and live un-suffocated lives happily ever after, at least until we, all too human, succumbed again. So, how can we get the word out about it? By getting the word out! Please note: the vast majority of people everywhere have about had it by now. So, at this point, it is incumbent on us who know the truth to spread the word night and day, nonstop and also irreversibly, of the nature of our oppressors, and the truth that we must strike a plan to move independently in concert to throw or scrape it off. 9/11 is a good place to start, because so bad and so much in the open, and to get too detailed and too nit-picky in our telling of it is actually counter-productive as well as unnecessary. It’s far better to stick to basics with the unconvinced and unexposed. With that in mind, let’s get after it! Arm ourselves with a good handful of key facts, gleaned from the many available, to make the case, and don’s let up! Pass it on and on and on and on and on! Tell your neighbors, family, co-workers, total strangers in waiting rooms, on busses, trains, golf courses, and planes. In beauty parlors. Hit the airwaves. Flood the opinion pages. Make a movie. 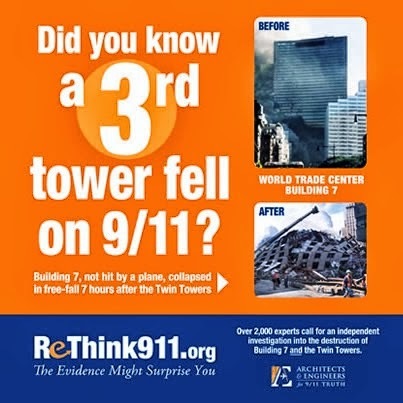 Go with 9/11 truth and the message that the NWO, source of both the operation and cover-up and in full control of the lying media, itself amounts to an unimaginably powerful, never ceasing, verifiable plot against humanity, devised to enslave, re-program, and re-design us all. And 9/11 exemplifies all of that. The world is yearning to breathe free already, as much as you and I. Don’t let the opportunity posed by its current growing wakefulness pass you by. Get involved like never before. Because, personally, I can see no other way. We lament that the supposedly world-class government supposedly representing most of us willfully misrepresents a plethora of straightforward evidence in order to steadfastly maintain a provably fallacious, purposefully self-serving public narrative purporting to portray both the instances and background of the 9/11/01 crime events. But what we fail to adequately grasp and convey to inform world consciousness is that the U.S. government always misrepresents everything to its perceived advantage without the least regard for the verified truth. • The U.S. currently complains loudly about Russia’s bombing campaign aimed at disabling ISIS forces in Syria that are (not too) secretly funded by Washington and which the U.S. consistently bad-mouths like crazy but, presumably for that reason, refrains from bombing itself. We (9/11 Truthers and activists) need to spread the word as widely and loudly as possible about this to spark public awareness and demand for truth-telling. • U.S. government spokespersons continue to pursue the ouster of Syrian President Assad, falsely claiming a) that he gassed his own people (while evidence points to the rebels against him as having done that instead) and b) that Syrians overwhelmingly want him out (while the only polls taken recently indicate that a majority continue to support him). Furthermore, U.S. officials themselves said consistently at least in the recent past that the Syrian people must be free to choose their own leaders. • U.S. officials continue to blame Russia for shooting down or ordering the shoot-down of the Malaysian airliner from Ukrainian airspace, though the evidence and third-party reports indicate that Ukrainian defense forces were responsible. • U.S. officials demanded Russia pull back its troops from Ukrainian territory, when even Ukrainian officials declared that no Russian troops were in their territory. • U.S. officials have insisted consistently that Putin was launching an imperialistic policy of aggression without any credible evidence, while the U.S. and NATO have surrounded Russia with forward bases and engineered through a series of so-called “Color Revolutions” the overthrow, replacement, and reorientation of a number of pro-Russia regimes in former Soviet republics and satellites, including Ukraine. 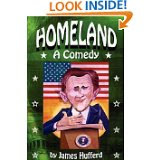 • Through ultimatums and apparent false-flag operations in Europe, the U.S. has spread fear of war on their turf to exact reluctant policy compliance from Germany, France, and smaller NATO partner nations. The truth, meanwhile, is that the U.S. has not taken on by arms a country anywhere near its size and strength for over 70 years and counting, and is not likely to do so deliberately. So, 9/11 is not at all exceptional as a duplicitous ploy or instrumentally twisted tale. Indeed, such pop up, accompanied by clanging alarms, whistles, and hand-wringing, every week or two now, and the bullying, shameless perpetrators never fess up, even when everybody knows – which, for the sake of the world, everybody must. That’s where we come in! Pass it on! It never rests, now in high gear following Russia’s announced aerial campaign against ISIS in Syria, beginning on September 30. For the first time since WW II, Russian and US warplanes are bombing the same country – each for entirely different reasons. Moscow’s campaign aims to defeat ISIS, eliminate its scourge. Washington actively supports it, striking Syrian targets exclusively, duplicitously claiming otherwise. The US State and Defense Departments’ lying machine has sprung into action, criticizing Moscow instead of praising its efforts, vital against terrorists ravaging Syria. Defense Secretary Ashton Carter claimed Russian airstrikes are tantamount to “pouring gasoline on the fire.” “By supporting Assad and seemingly taking on everyone who is fighting Assad, you’re taking on the whole rest of the country of Syria,” he blustered. That is not our position. At least some parts of the anti-Assad opposition belong in the political transition going forward. That’s why the Russian approach is doomed to fail. Carter and other administration officials fear it may succeed, undermining Washington’s imperial strategy, a long overdue initiative. John Kerry suggested Russia isn’t fighting ISIS, instead targeting non-existent moderate rebels. Despite Moscow’s request to clear Syrian airspace to avoid any accidental aerial engagements between US and Russian aircraft, Kerry said so-called “coalition” strikes will continue. America’s declared war on ISIS is a complete fabrication. Russia’s is the real thing – why Obama administration officials are so alarmed about its justifiable intervention, supporting a regional ally in need, complying fully with international law. A statement from the “Presidency of the Syrian Arab Republic” said “the sending of Russian air forces was carried out upon a request of the Syrian state conveyed via a letter sent by President Bashar al-Assad to President Vladimir Putin.” He got unanimous upper house Federation Council authorization to deploy Russian forces abroad and conduct aerial operations in Syria – in full compliance with international law. It’s done nothing to challenge Washington’s war machine with complicit EU and regional partners. It’s financing and arming ISIS as well as other takfiri terrorists, used to “perpetrate the ugliest crimes in Syria and Iraq,” Moallem stressed. “Those who want to combat terrorism on the Syrian territories should cooperate and coordinate with the Syrian government whose army carries on the war against terrorism and assumes its national duty in defending the Syrian people,” he added. Sergey Lavrov told reporters: “Do not listen to the Pentagon (propaganda) about Russian (air) strikes. Ask the Russian Defense Ministry.” Full information was made public. Moscow stepped up to the plate and acted, countering US-sponsored aggression, actively supported by Israel, Britain, France, Canada and Australia, along with Turkey, Saudi Arabia, Qatar, other Gulf states and Jordan. Moallem thanked Vladimir Putin for providing vitally needed help. Whether it’s enough to be a game-changer remains to be seen. As a result, arms and fuel depots and military equipment were hit. ISIS coordination centers in the mountains were totally destroyed. Russian jets did not use weapons on civilian infrastructure or in its vicinity. Strikes followed air surveillance intelligence enabling Russia’s Defense Ministry to choose targets for successfully conducted pinpoint strikes. Areas around Homs and Hama were hit. Russia’s Defense Ministry categorically denied accusations of causing civilian casualties – fabricated to vilify Moscow’s legitimate attacks on ISIS targets. Russian Foreign Ministry spokeswoman Maria Zakharova said “(i)t’s all an information attack, a war, of which we’ve heard so many times” before. We all know perfectly well how such pictures are made,” she said. Billionaire George Soros is notoriously anti-Russian. His White Helmets group claims phony humanitarian credentials. It’s an instrument for imperial propaganda – its elements caught red-handed fabricating so-called evidence of Russia’s “disastrous” involvement in Syria. Its photo of a bleeding girl posted on Twitter was propaganda misinformation – along with saying “Russia strike in Homs today. 33 civilians killed including 3 children and 1 @SyriaCivilDef volunteer. False!! It never happened. The girl shown was wounded on September 25 – five days before Russia’s air campaign began. No evidence of civilian casualties exists. The phony Twitter posting appeared hours before Wednesday’s bombing began – reminiscent of the BBC reporting on World Trade Center building 7 collapsing on 9/11 30 minutes before it happened. The White Helmets (formerly called the Syria Civil Defense) was externally created – serving imperial and monied interests, not the Syrian people as claimed. It actively backs takfiri terrorist groups, committing horrific atrocities where they’re deployed – part of America’s war OF terror on humanity, a scourge vital to challenge. The Western media lying machine is in high gear, speaking with one voice, irresponsibly bashing Russia’s campaign to defeat ISIS in Syria – perhaps next in Iraq if its government requests badly needed help. A typical New York Times propaganda piece headlined “Russians Strike Targets in Syria, but Not ISIS.” The source: US officials, notorious liars. Other Western media repeated the same Big Lie. The Washington Post called Russia’s campaign “an unpredictable new element…a dramatic escalation of Russia’s military involvement…an affront” to Obama…”sharply increas(ing) tensions…US official dispute Moscow’s claim” about targeting ISIS – despite no evidence disputing Russia’s Defense Ministry account of yesterday’s actions. The Wall Street Journal headlined “Russian Airstrikes in Syria Targeted CIA-Backed Rebels, US Officials Say.” So-called “rebels” are ISIS and other takfiri terrorists. Other US-trained Division 30 fighters reportedly handed their weapons and equipment to al-Nusra terrorists immediately on entering Syria. Western media reports on all major domestic and geopolitical issues feature all rubbish all the time – an insult to news consumers wanting real information, not state-sponsored propaganda. Moscow’s involvement in Syria represents the first serious challenge to Washington’s regional hegemonic agenda. Anti-Russian propaganda doesn’t change facts on the ground. ISIS now faces a formidable adversary. So do lunatics in Washington. Why is the world in such sad and alarming shape that dire justified foreboding perennially stalks the face of both sea and land and furrows visibly the collective brow of all humankind, raising our common blood pressure close to bursting? As far back as any of us can remember, people were saying that the world was in a terrible mess, as world wars and depressions came and lingered and ultimately passed and fear and dread abounded. Yet never before so universally existential or seemingly hopeless in tone as to foretell changing the earth itself into another cold and lifeless planet or decaying junkyard: nightmares realized, cockroaches vs. termites for fleeting survival, no memory of bygone days. How did we ever get in this fix, now that the death squeeze has definitely begun, being it isn’t true that we’ve been quite this woebegone forever? Flash back to the long days of control by the crowned heads of Europe. They, as the absolute rulers and deciders at home, sent galleons over the no-longer limiting seas to seize and subjugate the rest of humankind. And the aristocrats and retainers ran and profited from expanded realms, enslaving at sword- or gun- or pen-point everyone they could find an excuse to – meaning almost everyone at home or abroad. But then, in strong reaction, such avatars as Thomas Hobbes, John Locke, and Jean Jacques Rousseau, followed by Madison and Jefferson, promulgated the twin counter-ideas of popular sovereignty and the social contract, enlisting the people always trodden under before as actual sovereigns themselves. The inherent strength at arms of the overwhelming self-willed majority, demonstrated timidly first in the Magna Carta (at least according to some), and more sharply much later in the English Civil War and its counterparts, and in the wars of the Reformation, later still in the American and French revolutions, served to shock the aristocracy of absolutists and liege into a goodly measure of compliance, resulting in milquetoast indirect democracies and a good, if uneven measure of social progress in the west, eventually spreading elsewhere. Hence the future appeared brighter for the exploding ranks of commoners, with scientific advances being applied to the gamut of common betterment. This was in spite of still-foisted major wars and financial convulsions or adjustments that made improvements sporadic even while the masses fervently favored peace and the relative safety of fiscal caution. But then, starting in a major way (though not very conspicuous at first) about a century and a quarter ago, building on the mind-blowing success of the heirs of start-up banker Amschel Rothschild and their financial protégés at siphoning wealth from the commonplace economy through usury and trickery, a nouveau-riche aristocracy was able to plan and finance an across-the-board retaking of sovereignty from the up-to-then represented masses of citizens. With liquid wealth kept stringently concentrated geographically in the home countries, they easily extended their sway to virtually global scale, steadily capturing control over the national treasuries and, through legalized bribes, making themselves the real constituencies of the government, displacing the citizens by exceedingly clever subterfuge from all real power, and thus sparing themselves from all practical government and restraint. On 9/11/01, the ascendant usurpers of power effectively cracked the whip on the rest by stupendous deceit accomplished through comprehensive (though imperfect) planning and executed at least in part by the puppet Mossad with full compliance by key parts of the puppet U.S. government, setting the stage of consent for reconfiguring the world strictly to serve their own ends via blunt military force and a regime of frequently-stoked fear and cowed tyranny at home. And the mechanisms of all kinds they have loosed show signs only of increasingly-tight regulation and suppression of all of us, siphoning our last penny and our last means of self-assertion, ruthlessly culling the increasingly-purposeless herd that is us in their eyes, while reducing our beloved earth to an orbiting clinker. That they can somehow even save themselves now from the merciless forces they’ve cut loose and fought desperately to leave unchecked is doubtful. High time to be of one mind to reverse their hijacked control and, by all and every means, to contain and restrain them in order to thus regain our once-blossoming self-governance and freedom. Of that, there can be no doubt. This must be our singular and ultimate purpose: to wrest it back! Nothing less will help. Even one wrongful or senseless death – a human life taken or let go – means the obliteration or, at very least, conduction to a different realm of a whole unique universe, a will working through possibly trillions of miraculously coordinated specialized cells and connections. A hecatomb (any word that rhymes with doom, appears to rhyme with bomb, and embodies tomb as well cannot be overly good news) is the sacrifice or slaughter of many victims, including human and too many other kinds for us to be comfortable with. With regard to hecatombs of human beings – sacred because imbued with life and capacity to experience and, however latent, to reason – I wondered, which are the greatest (that is, most horrific quantitatively) on record? It turns out there is no discernable clear champion reaper among the very many, most but not all of which humans deliberately brought on others. In my last article, I referred to Chomsky and Vitchek’s statement that 60 million deaths have resulted from U.S. military and CIA interventions since 1945. That's roughly twice the population of Argentina or Canada. Now, I ask you, who knew? If you want to refigure the world, spread the word! Marveling, I wondered, how would this by turns appalling and suitably sterile quantity (for all intents and purposes unimagined of its subject) compare to the stupefying mega-murderous rampages and catastrophes more regularly displayed on that truly awful list, and about which the demigods of U.S. power are not shy? To address this question, let’s start with our culture’s usual most-demonized gaggle of perpetrators and see how they compare with this proud U.S. record. According to an article by Timothy Snyder, entitled, “Hitler vs. Stalin: Who Killed More?” published in the New York Times on March 10, 2011, the best estimate with reference to Stalin was “tens of millions”, for Hitler, “about 11 millions, … 780,862 [considerably more, if accurate, than were lost in the entire U.S. Civil War] at Treblinka alone.” Pol Pot, the reviled strongman responsible for Cambodia’s Khmer Rouge killing fields in the 1970s, did away with a comparatively trifling 3 million of his own countrymen before committing suicide, a free man, when he learned he was to be extradited to that global bastion of liberality and justice, the U.S., in 1998. (But let’s not forget as well how we Americans speak in awe of losing merely 1/1000 as many of our own to the cowardly false-flag gangsters of 9/11/2001). The infamous Idi Amin killed between 100,000 and 500,000 Ugandans in the 1970s, it turns out, while the fabled Rwandan genocide did away with 500,000 to 1 million in that country during the ‘90s, apparently leading to millions more deaths in continuing trans-border warfare by the same parties in the eastern Congo to this day. On the list, only WW II (60 – 85 million), the Mongol invasions of medieval times (40 – 60 million), and the Black Death that ravaged Europe in the 1340s (at least 75 million) even begin to measure up to the record of a bit more than two generations (60+ million perpetrated) that U.S. rulers are so uncharacteristically modest about, occasioned in their role of “protecting” the world. Almost incidentally meanwhile, WW I clocked in at 17 million, and the extermination in most quarters wrought by five centuries of European-origin colonization of the Americas has added 50 million and counting to the toll of lives lost. Our incomparably bloody (at least for recognized U.S. wars) Civil War cost us 2% of our population at the time, while England’s largely forgotten seventeenth century civil war took a toll of 14.5% of that country’s then-population, as nearly 50% more lives were, unimaginably, sacrificed for cause than in the classic U.S. internal struggle. And now, we’ve arrived (in this essay as well as in well-attested reality) at the coming of the “Truly Big One” still in the making, associated with what is generally called the “Sixth Great Extinction”. This foreshadowing reckoning – which would seem to be more linked than not to the true genesis of the taboo U.S. record alluded to above that was rung up cumulatively by U.S. police actions and fearsome security agency plots during the seventy years since 1945 – is now full-bore upon us. If some of the more modest learned estimates by the scientific community of developing untenable climate conditions come to pass, we could literally lose everyone, or within a whisker, in this century. And it more than appears that élite foundations are characteristically funding and fueling both sides of the argument, to make themselves look civic-minded and informed, while imposing a major drag on taking any serious counteraction, regardless what the evidence portends. So, where does 9/11 stand in the midst of this veritable roiling sea of high-rise hecatombs, past and daunting before us? As James Perloff, the author of Shadows of Power, takes pains to remind in his newer book, Truth Is a Lonely Warrior (2013), “9/11 is just one piece of the puzzle.” Above all, 9/11 provides direct evidence of a more-brazen new species of weapon wielded against us: a false-flag incident in relative peacetime, seemingly deployed on a smaller scale numerous times since in various guises meant to control, steer, and dis- or misinform us, always perpetrated by the same forces that have guided us dragging our heels, usually mounting mass and futile protests at the beginning, into all of our wars for over a century (see Rockefeller Foundation, Nazi eugenics, American eugenics, public relations, global banking, invisible government). These same usually-unseen avatars have likewise plotted for more than a century a precipitous decline in world population, devising and applying all conceivable means in the face of a truly startling unplanned global demographic explosion, at least up to now. And in so far as their intent, as is yet intermittently stated and inferred, may still be to decimate the inconvenient non-white populations for the perceived benefit and control/spread of the Anglo-American brain trust and its manageable spawn, their overall intent, which now appears likely to succeed, seems to have perversely backfired in its precise outcome – unless … ? (No, don’t forget, there was aids). Because, a mysterious, but almost certainly industry- or environment-related decimation of the sperm count among European-origin males has spelled a beyond alarming drop in human fertility of 1.5% in the U.S. and 3% in Europe and Australia in each year since 1938. (I cite Jim Marrs’s 2015 book Population Control, pages 280-281, and his source, University of Edinburgh professor Richard Sharpe). Now, to me, that spells ‘hecatomb’ well beyond the loss of butterflies and bees – a sort of final hecatomb – like nothing else! In fact, peace-craving democratic (people-based) intervention by the likes of Sharpe is clearly in beyond urgent need now! As for that saw about “saving the earth” – it will, I believe, go right on spinning in space regardless. And someone might possibly still be home. In his 2013 book The Grand Deception, Mujahid Kamran describes some of the workings of what Churchill called the “High Cabal” that, unseen, really controls the world and, in particular, some of the means used historically by one of its affiliates and franchises, the United States of America, the takeover of which began in embryo about a century and a third ago. Dr. Kamran knowingly lauds the American people as overwhelmingly strong preferers of peace, harmony, and tolerance (though the propensity for spontaneous violence in some quarters throughout is fostered by policies instilling domestic resentment and grievance). “Whenever US governments wish to shove the US into a great war,” Kamran writes, its agencies, through planned efforts arrange for incidents that lead to the loss of innocent American lives [and] resulting anger … diverted against the ‘enemy’.” And he notes that this tried and true practice, not having gone unnoticed, contributed mightily to widespread suspicion regarding the authorship of 9/11. And in addition, I might add, to growing suspicion of any and all violent incidents killing Americans mostly, but not solely – which happen almost every day now – and that the print and electronic press obligingly make their central stories. To my mind, to say that the hidden powers-that-be have by now overplayed their hand and begun to wear out the deceptive value of this much-used trick, employed lately for all sorts of apparent purposes, would not be an exaggeration. And just as most came to the tardy realization that the carnival magician was insulting people’s intelligence to separate them from the coins in their pockets a century and more ago, fewer are being fooled every day now. As for us, we can only point out the trick when we spot it to all and sundry and strive toward the end that the no-longer-fooled will soon comprise an irate quorum in our society. Encouraging in this regard is the fact that our term “false flag” has recently crept its way into general American and British conversation. Politically, the controlling élite’s strategy of bankrolling and owning tried and true groomed and initiated secret status-quo, openly change-agent winning candidates, relied on to protect their patrimonial status, has begun to wear through admitting sunlight across the western world. One current harbinger of this is the shockingly successful rousing social democrat Labour Party leadership candidate Jeremy Corbyn in Britain. And then there’s the at least putative Greek rebellion, probably not over yet. Other examples, of course, are Donald Trump and Bernie Sanders, surging respectively in defiance of the owned establishment stiffs in the two big parties in the U.S. The story in each case, regardless of precise ideology or program, is the electorate’s brewing disdain for and cold rejection of élite control – of being herded. But the High Cabal directing the élite we see (even if barely) contemn democratic oppositions as you contemn the stratagems of ants. In ruthlessly forging the world they demand, they will not be mocked, even if by surges among us millions strong. If the wave of rejection rises too high to manipulate or divert aside, they will declare martial law, suspend constitutional documents (“goddam pieces of paper”) outright, and proceed. According to another salient 2013 book, On Western Terrorism: From Hiroshima to Drone Warfare, by Chomsky and Andre Vitchek, upwards of 60 million deaths have occurred due to U.S. military and CIA interventions since 1945. “Would they really murder three thousand of their own people?” you ask. The next step for controlling élites in the west and China against finally awakened, balking needlessly excess populations to be cut back will be the imposition of the chip Aaron Russo warned us of that they can simply turn off at will. End of story. Please tell me it isn’t so! The truth matters NOW – now get excited!